My name is Gavin Do, and I was recently hired to join the Go For Broke team as an Associate Archivist. 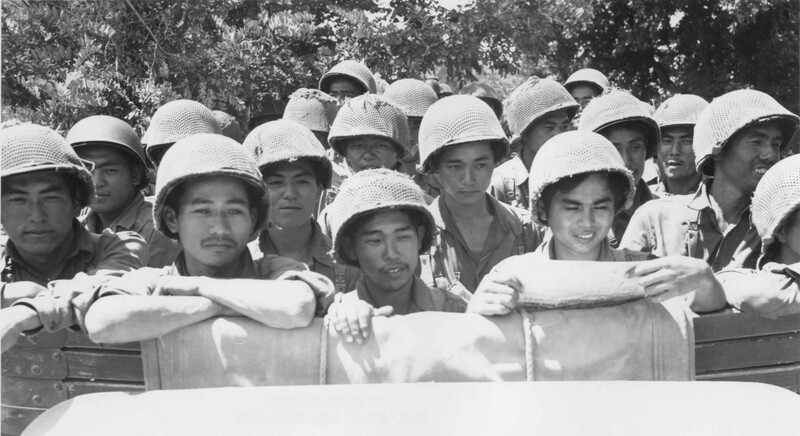 My main responsibility thus far has been indexing the Hanashi Oral History Interviews collected from the Nisei soldiers of the 100th Battalion, 442nd Regiment, and the Military Intelligence Service. Erin (our Assistant Archivist) and Summer (our Project Manager) have already done so much great work on indexing and providing a clear workflow for the process, and they have helped make my transition to the project very easy and manageable. While this is only my second week working at GFBNEC (and the first week was spent rapidly preparing for our Evening of Aloha Gala Dinner) I have learned so much about the Nisei soldiers and their massive contributions to the American effort during World War II. Learning that the 442nd is the most decorated unit in the history of the United States military was an eye-opening fact (considering the discrimination and injustice they faced) that makes me very proud to work for GFBNEC. Two hours into my first day on the job, I was able to meet some of the Veterans and their families, and that was an extremely rewarding experience that I will always remember. Preserving and spreading the story of these courageous Veterans is our priority, and I am ecstatic to be contributing to the cause. With my future posts, I hope to keep everyone updated on the progress we are making on the Hanashi Oral History Project and other great work that we are doing here at GFBNEC. Why Are Oral Histories So Powerful? Why are oral histories so powerful? Because they record firsthand experiences from the very people who lived them. They are history straight from the source. That is why our organization spends so much time, energy, and resources to record the oral histories of as many Japanese American veterans as we can. Since 1998, Go For Broke National Education Center has recorded over 1,180 oral histories, and we’re still going strong. We’ve become the world’s largest collection of Japanese American WWII veterans’ life histories. Americans, you are free. So guard the freedom as much as you can through being a Good Samaritan. And teach your children and their children what we went through. Keep on going so that this world can be one. Every one of us that grew up in this country, we share the same hopes and dreams. We want to share these dreams. I guess we only hope that for our children. If you show them that what we did was for our country, then I hope they’ll follow in our footsteps. I firmly believe then, now, and in the future, that you have to stand up and fight for what you think is right. Because if you don’t, who is? The next guy? Well, maybe you’re the next guy. You have to stand up and fight for what you think is right. And of course fighting means in different ways, not necessarily just going into the military or going to war. There’s all kinds of ways of fighting. Check out more of our oral histories online! Why Are Most Museum Exhibits So Boring? I remember when I was in high school and college, this was the question that would always pop into my mind. I loved history, but I always found myself bored to tears at history museums. I felt that it was always the same boring labels, the same plastic dioramas, and the same lack of any relevance at all to my own life. Why should I care about black and white photos, arcane details, and impersonal objects that I couldn’t touch? Well, we’re not going to make those same mistakes when our new exhibition opens next spring in downtown Los Angeles. 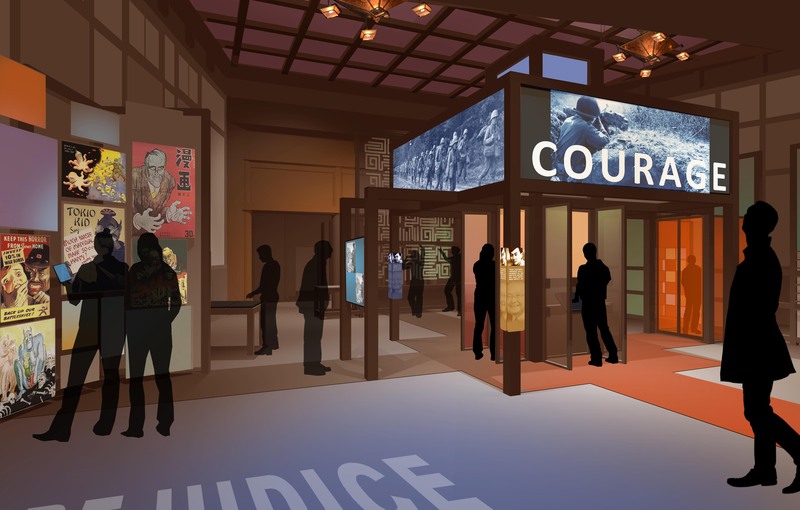 We’ll tell the history of the Japanese American soldiers of WWII, but we’ll do so in an engaging and dynamic way. Most important of all, we will make the experience relevant to our visitors. Most of our visitors will be high school and college students, and they’ve helped plan the exhibition from day one. In our exhibition, visitors won’t just read and observe – they’ll do. They will get their hands dirty. They will get their minds churning. THEY will help create the space and the experience…in a sense, visitors will themselves be the “curator” of their visit to our exhibition. They will have a chance to create art. They will have the opportunity to make mini-documentary films. They will get to make choices and live a “life” as if they were filling the shoes of a WWII-era Japanese American youth. And this immersive and engaging experience will be made possible by our one-of-a-kind collection. Our thousands of oral histories and hundreds of photographs will form the core of every activity and exhibit area. Every single day our archivists are uncovering and preserving new photos and oral histories, and these are the very assets that will make our exhibition so rich. So, at least in my opinion, we have finally created the type of history exhibition that is not boring or impersonal. Don’t believe me? Come check us out next spring, when we open to the world in Los Angeles’ Little Tokyo district!